Los Angeles Community College faces a unique, unprecedented challenge as international enrollment increases: How does an inherently commuter-oriented campus house students who are not locally based? HHFA’s solution is a proposed apartment development just steps from LACC’s main entrance. In addition to 44 double-occupancy units, the design offers student-centered amenities such as study labs, lounges, and outdoor gathering spaces. Such features encourage a sense of community among students who, in most cases, came to Los Angeles alone to pursue their studies. 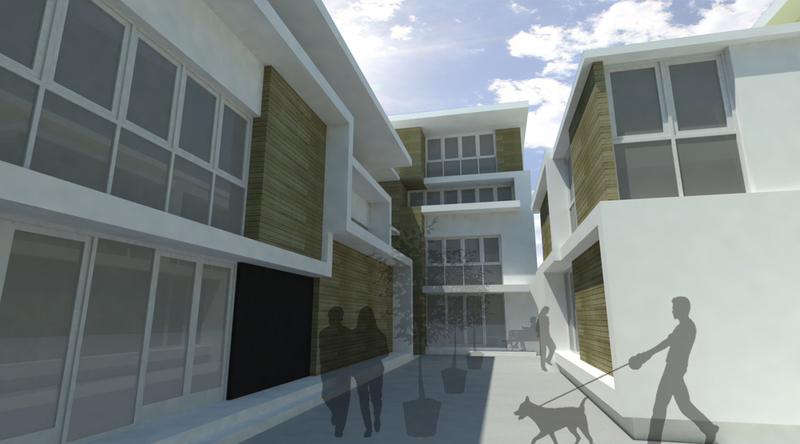 This development is sponsored by the Los Angeles City College Foundation, and is intended as a prototype for future District-wide student housing.